When I first decided to get an Echo Dot I had visions of being able to ask it questions and get an answer to whatever it was I decided to ask. But being a computer systems programmer I am knowedgable enough to know that this is an incredibly difficult task to accomplish and indeed – hasn’t yet been achieved. I have friends who have them and they seem to derive great pleasure in fiddling round with them and other devices so that they can say “turn the lights on” or make them brighter or dimmer. Big deal – to me that is boring / tedious, not to mention expensive in terms of the bulbs in comparison to other bulbs. Anyway – there are games available on it – one such game is this animal game where you guess an animal and the echo dot asks you questions about specifics regarding what it might be. Such as “is it domesticated”, “does it have fur” – these may not be the exact questions it asks, but you get the picture. After each question the user (me) replies with a simple “yes” or “no” – eventually the Echo Dot voice (Alexa or something) will make a guess as to what the animal is. Yawn – how boring can you get? 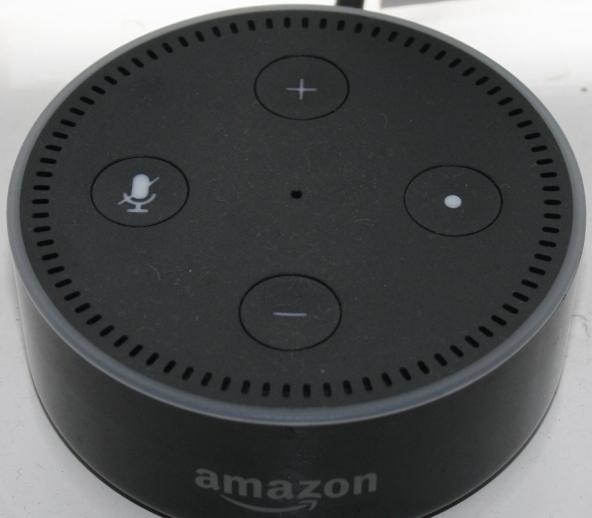 Mind you – thats the well known animal game in general which I find boring as opposed to the actual echo dot – I suppose this would be extremely exciting for some people – it’s just me that finds it boring, a bit like it’s just me that finds light bulbs boring. Going back to the questions aspect. Well in fairness it *can* answer certain questions, for example I was watching the television and I heard a tune. I could’nt remember who it was by but I could remember the song. So I asked Alexa something along the lines of “who sings …….” whatever it was. Sure enough, the echo dot came back with the correct answer which I knew once I heard it. 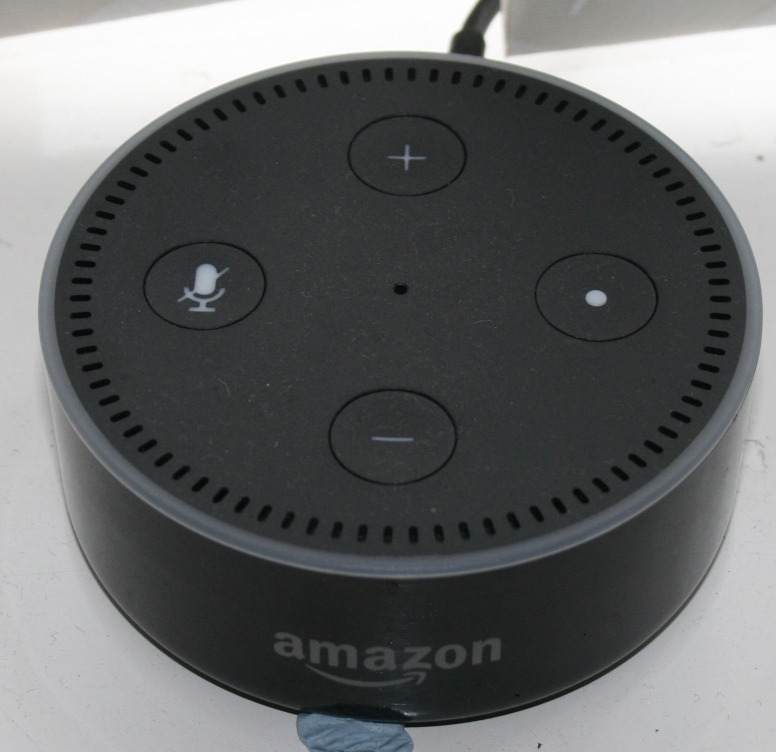 So there we go, a use for the (IMHO) echo dot after all – you can’t remember something and it will remind you. Now there are lots of apps for it, e.g. I used my tablet to get hold of one called “roast me” or something. Yes, you ask it to roast you and it comes out with some nasty remark. Mildly interesting for all of 60 seconds then I got bored of it again. So maybe it’s just me, or the apps i’ve tried that I find boring – who knows? Who cares? I am sure there must be something fun to do with it but I am so bored of it I can’t even be bothered looking, which is why I’m probably even more bored of it than I would be if I put some effort in! So I am sat here watching TV – and suddenly I hear (somthing like) – “I’m sorry – I didn’t understand that”. I’m uncertain that this is the correct phrase Alexa says – I assume it’s because she heard something on the TV which activated her, I could be wrong – but then again you see – justification for being bored of it, I am bored of it because I am bored with it coming out randomly like that (albeit infrequently). Then there is the weather report. 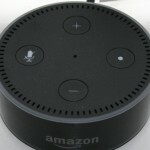 “Alexa”….. “whats the weather”….. this is actually quite good (relatively) but again, there are so many weather sources that attaining yet another weather service is really a boring thing to do for me, but then again we see it’s the concept of HOW I AM TRYING TO USE IT which is letting me down – not the actual echo dot. Oh well – I am sure it’s a fabulous product really, and its me thats just a dull individual really. So for that it gets 95 – because at the end of the day, the tech behind this is quite stunning. Sharp Heavy Duty Nail Clippers / Scissors (more like wire cutters).